School life came to an end for many students a few months ago. You’ve spent the summer break to the fullest, knowing that you are no more bound by the rigidity of school uniforms. You are looking forward to the next phase of your student life in college. But it is often seen that guys tend to cut slack when it comes to styling in college. A t-shirt or a sweatshirt over a pair of jeans is seen as an easy pick for almost every other day in college. This look is surely hassle-free but you might be losing out on a serious opportunity to create a memorable impression. Trust me, positive impression in college go a long way. That’s why InfiFashion has come up with some easy yet important style tips to ace clothing for college guys. In this article, I shall be addressing the styles you can try out in clothing for a stunning college look. Each apparel mentioned here play a special part in creating that perfect college look. As mentioned before, t-shirts are the staple outfit for college guys. But while t-shirts with funky captions sure catch the eye, their impact doesn’t last that long. 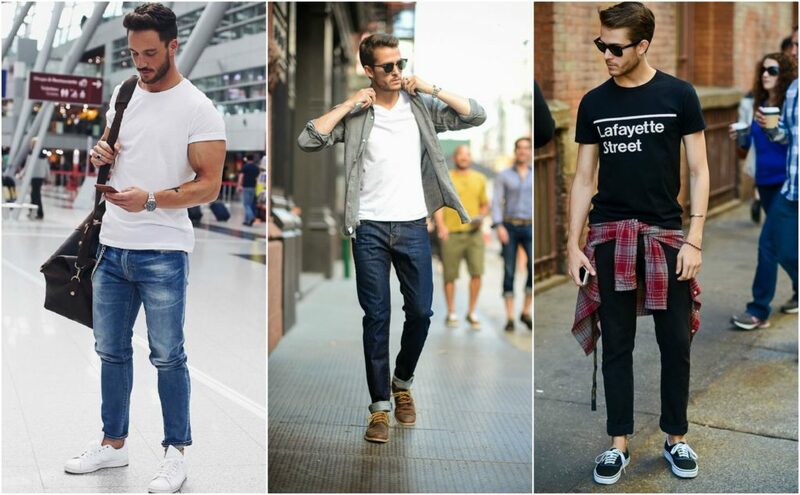 The best and most versatile option in t-shirts is definitely the plain white t-shirt. They look great with almost all types and colours of trousers and jeans. For some variety, you could opt for other solid colour t-shirts. A great alternative to t-shirts is polo shirts. Thanks to their closer fit and collared necks, they have a dressier appeal to them. Also, the knitted fabric, especially those from natural materials, feels much cooler than the more tightly woven t-shirt. This makes it a hit for the dry or humid summers we face in India. During warmer days, you could even opt for sports shirts. For a sharp look, button-up shirts and dress shirts are your best bet. This is one style that almost anyone can pull off. When picking up such shirts, try to get a mix of solid colours and classy prints. This would ensure a steady rotation of outfits that would keep its appeal fresh in your college circles. When it begins to get cold, most often take their hoodies out, thinking it is the cooler alternative. But the catch is that the hoodie and sweatshirt look has become quite a cliche in college circles. Rather one should opt for well-fitted sweaters and there is no shortage of styles to experiment with. Polo Style Sweater – Visually similar to polo shirts, these are usually quite lightweight. You can go with or without an undershirt as these have their own collar. Cardigan Sweater – Cardigan sweaters are available in a variety of styles and colours with the buttoned and zipped front styles being most popular. For better effect, wear a collared button shirt underneath. Turtleneck Sweater – We have seen many popular movie stars flaunt a dark coloured, close-fitting turtleneck sweater. This apparel would look just as good on you. You could layer it with a flannel shirt on top, pair it with a sports jacket or wear it by itself. The options are endless. Let’s clear one thing. Getting the right fit is key to any outfit, especially when it comes to jeans. Your jeans should be resting comfortably on your waist rather than be baggy or skin-tight. As for colours, dark wash or black jeans are a super versatile that last for a really long time. This look’s classic masculine vibe that was a rage in the past and is just as effective in the present. 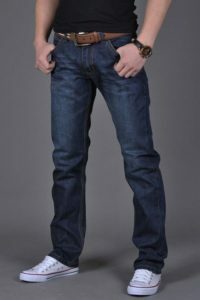 These styles in clothing for college guys comprise just one aspect of stylish college outfits that one ought to try. Till we cover the other insightful aspects of college fashion, go ahead and try these tips out right away. You are sure to see a difference in the vibe of your fashion statement when in college. NEXT POST Next post: 5 Men’s Winter Jackets You Should Have In Your Wardrobe!